Although it is new within the rehabilitative platform, medical therapeutic yoga has rapidly become popular to the extent that nearly all, if not all practitioners and chiropractors have accepted it as a practical solution for improving one’s mental, physical, and emotional well-being. For the past few decades, yoga therapy has been viewed as a part-time activity and one of the many ways to relax the mind. But since realizing its benefits, the healthcare department has integrated it into the system. Today, yoga therapy is widely used to treat numerous complications including musculoskeletal injuries. Like any treatment method, medical therapeutic yoga has a philosophy and core premise, which demands that you have to comprehend your own drawbacks to be in a position to deliver the best, safest care ever. Some of the areas where you should have in-depth knowledge include human anatomy and how to treat specific diseases, disorders, and disabilities. A yoga therapist is also required to have comprehensive understanding of indications as well as contraindications that help in practices related to safe breathing as well as yogic practices, because this helps enhance patient safety. Five years ago i.e. the year 2012, the International Association of Yoga Therapists advisory board consented to the educational standard for yoga training. The consent had a number of positive impacts, especially in the healthcare department where it gave the medical therapeutic yoga opportunity to be accounted for competency-based educational standards. In order to make the new movement in the healthcare department a success, experts focus on entry-level requirements for yoga therapist training and at the end of the session; therapists should know what yoga therapy is all about as well as be conversant with training requirements. Any organization that’s developing competency-based standards always has a goal, and the goal is to elaborate not just the foundational knowledge but also skills needed to practice yoga therapy effectively and safely. For more information concerning how to practice yoga therapy, visit this site: http://www.iayt.org/news/308692/IAYT-Updates-Scope-of-Practice.htm. Athletic trainers who would like to further their knowledge base can go for a post-certification option, which in this case is the Professional Yoga Therapy Certification. This course can be pursued as a continuing education course or a full-time certification, and it’s offered in several institutes including PYTI (Professional Yoga Therapy Institute). 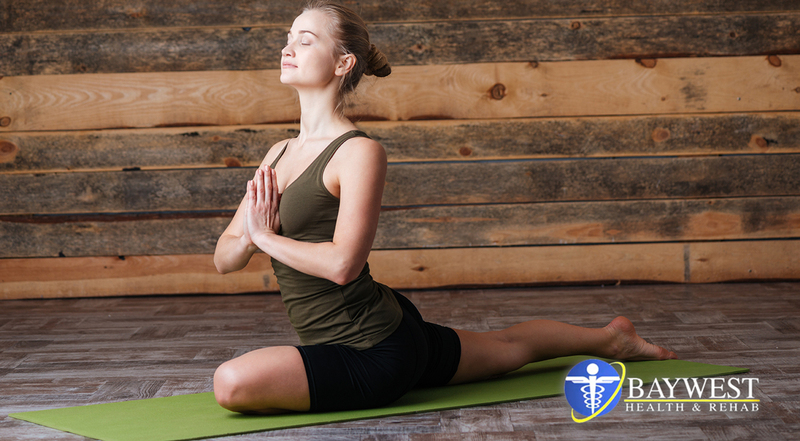 According to PYTI, medical therapeutic yoga can be defined as the learning of yoga in relation to rehabilitation, medicine, and wellness by certified healthcare personnel. The PYTI does not stop its definition there; it goes ahead to mention that the personnel must have graduated or is completing the course at the PYTI program. Moreover, he/she must have been approved as a certified yoga therapist or professional yoga therapist-candidate. Not everyone can become a qualified yoga therapist. Although knowledge is basic for a medical professional who wants to become a successful practitioner, the route to become wise can be much more difficult. This new healthcare movement is unique in that it focuses on the patient’s well-being, while also making sure anyone who undergoes medical therapeutic yoga has the capability to successfully pass all aspects of life; be it professional or personal.